If you or anyone you know needs help? 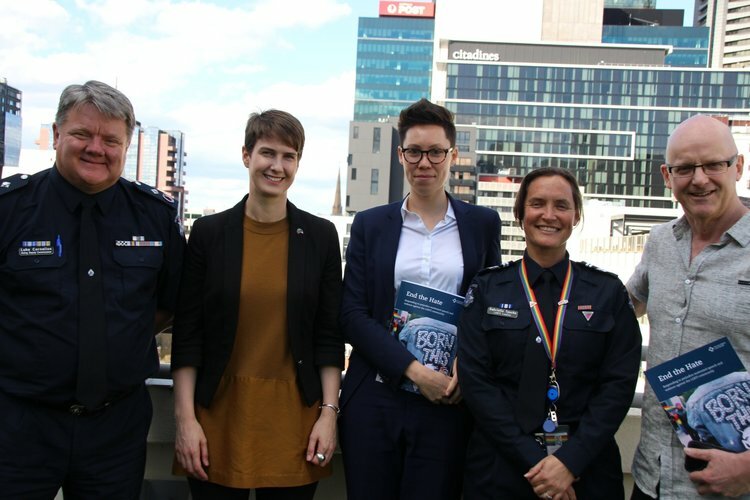 Gather at Melbourne’s Fed Square Main Stage with the Anti-Violence Project crew and many others from Melbourne and Victoria LGBTI organisations to celebrate and commemorate IDAHOBIT Day, Thursday May 17, 2018. IDAHOBIT isthe International Day Against Homophobia, Biphobia, Intersex Discrimination and Transphobia. 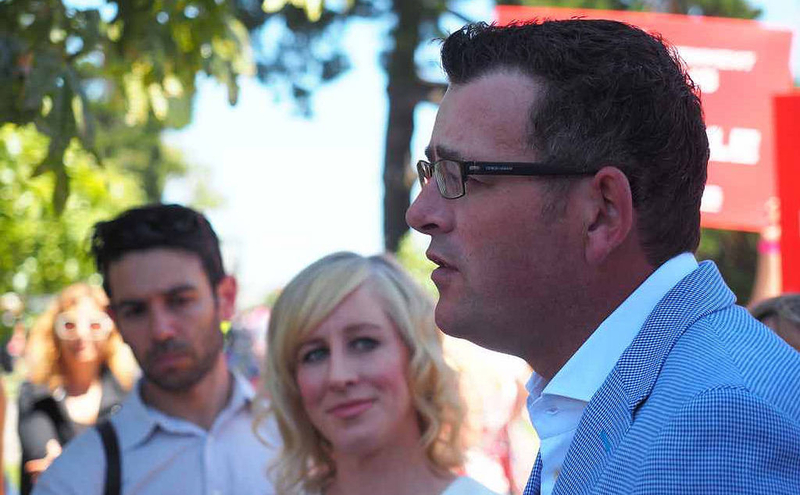 Fed Square are presenting program of diverse artists, performers and voices. Their evening celebration for IDAHOBIT Day includes a stage program of 5-10 minute performances interspersed with Q&As with LGBTQIA+ organisations. The short performances will include music, comedy, drag acts, dance, and spoken word from artists such as Mojo Juju, Yana Alana, Adolfo Aranjuez, Raina Peterson, William Cooper, Ana Diction, Jax Jacki Brown, Dani Sib and Amao Leota Lu. Further info about IDAHOBIT Day can be found at here. 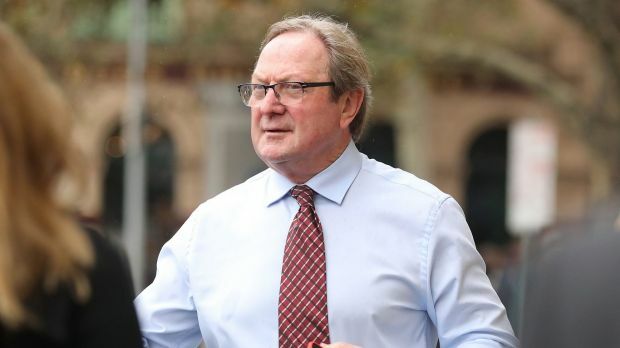 Police are hunting a group of men who preyed upon and savagely assaulted a man in Collingwood, between Victoria Parade and Mason Street, hurling homophobic taunts at him as they repeatedly punched him in the face. 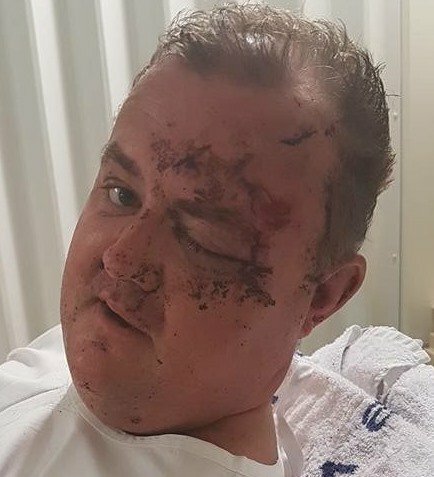 The 36-year-old Carrum Downs man was walking along Smith Street in Collingwood in the early hours of Saturday on January 27 when three men surrounded him. One of the attackers made comments about his sexuality before all three struck him in the face. The man was taken to hospital with serious facial injuries. The offenders fled after the attack. September is bi-visibility month and the 23rd of September, the annual Bi-Pride Day. 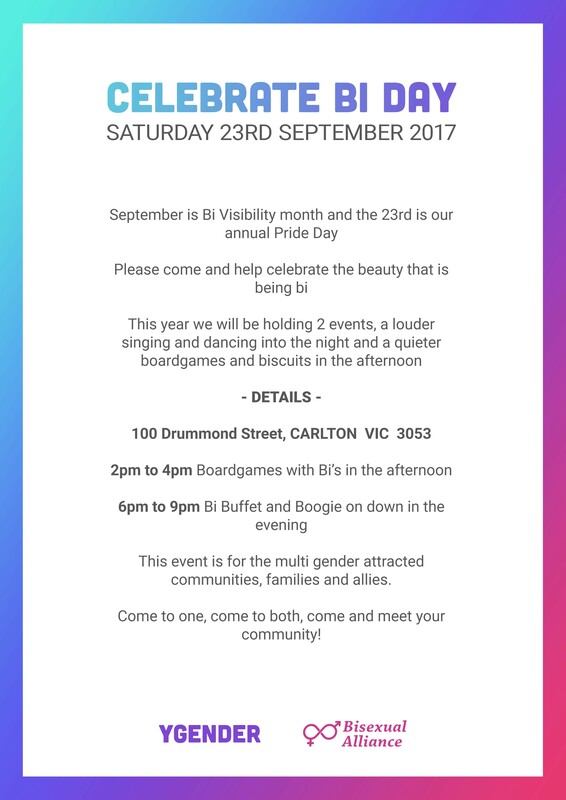 Check out the two events being held jointly by YGender and the Bisexual Alliance Victoria in Carlton.